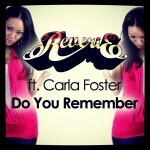 You can now get the Do You Remember Remixes EP on Beatport and iTunes. Hit the links for your download, enjoy ! !